Chet and Barbara Marks, in Batesville, S.D., have a love for Native Americans and a passion to bring them the message of Christ. Patty Petersen, of the Boulder SDB Church is gathering a group to minister with the Marks on the Pine Ridge Indian Reservation in South Dakota. She has been making annual trips to S.D. since 2007 and is planning this trip for early April 2013. Families are welcome, and individuals 18 and older. The group will be housed in a church building, next to the Marks family farm. There are also motels nearby in Martin, S.D. Individuals or churches interested should call or email Patty Petersen at 720-320-3418 or ppetersen57@hotmail.com. 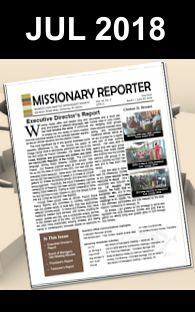 You can also email the Missionary Society.